If you’re anything like us Summer is non-stop. You’re going from one fun outing or trip to another. And yet the kids still find find a way to declare that they are bored. 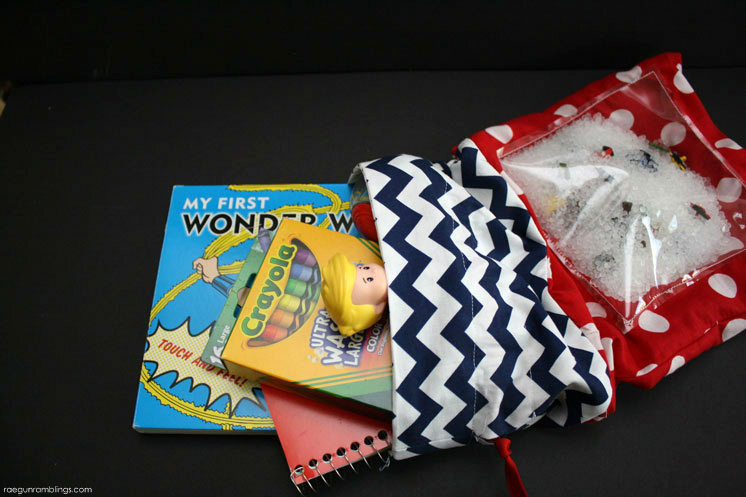 One day we will all be able to say “I told you so” while we spoil their own children and pump them full of sugar ;) But until then you can arm yourself with an awesome I Spy Activity bag. This puppy is big enough to hold coloring supplies, a few books, some toys or even some snacks. And as a bonus it has a fun interactive patch on the outside. 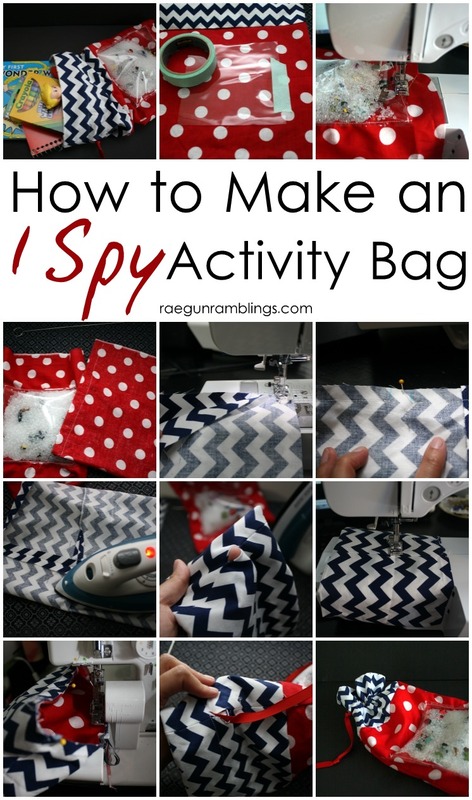 Whether you take the I Spy bag along with you to keep the little ones entertained in the car or have it on hand to fight off the inevitable cries of “I’m so bored” this activity bag will be great to have around. Start by folding the bottom pieces in half and then position the vinyl square on the center of one side (the fold should be to the bottom). Sew the vinyl square around 3 sides attaching it to the fabric. I like to use washi tape to help keep the vinyl in place while I sew. 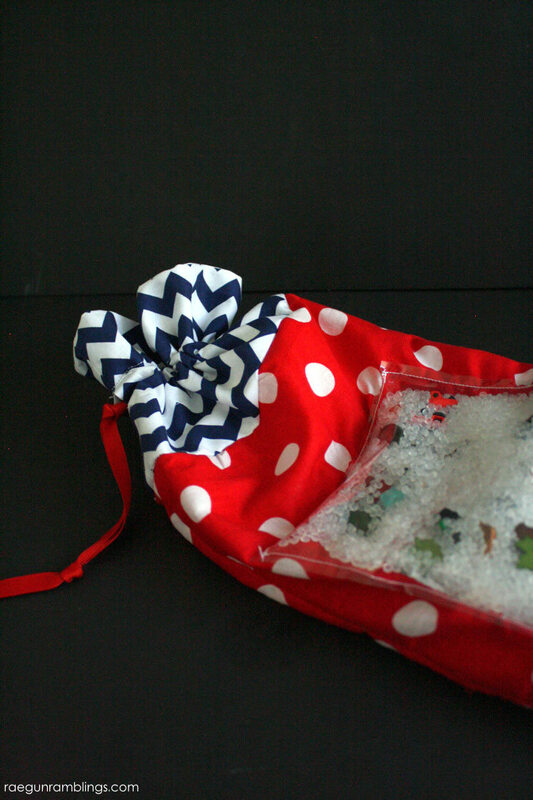 Fill will beads and trinkets. Sew the final side closed. With right sides together sew down the two sides of each bottom piece. The fold should be at the bottom and there should be an opening at the top. Turn the piece with the I Spy Patch right side out and slide the other piece into it. Now with right sides together sew one long edge of the top fabrics together. Turn right side out and iron. Fold in half lengthwise and arrange above the bottom pieces. Cut off any excess fabric leaving just about 1/2 an inch past the bottom (this is for your seam allowance. Open up the top fabric match the seam line and on each side mark a 1 inch pace in the middle. Sew to that space making sure to back stitch at both ends and then past it over the seam and to your other mark. And then down the end. This is so there will be a hole to put your ribbon through. Press the seam open and fold in half. You should see a little hole. Sew a line joining both fabrics above and below the hole. Now with the raw edges of all the fabrics touching sew together. Make sure that the top fabric is on top of the right side of the bottom fabric. 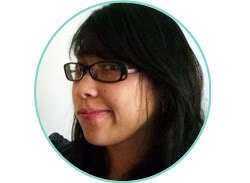 Finish the edge with a serger or zig zag stitch. Flip the top part up and you should have a bag. Finally thread the ribbon through the casing and knot and you are good to go! 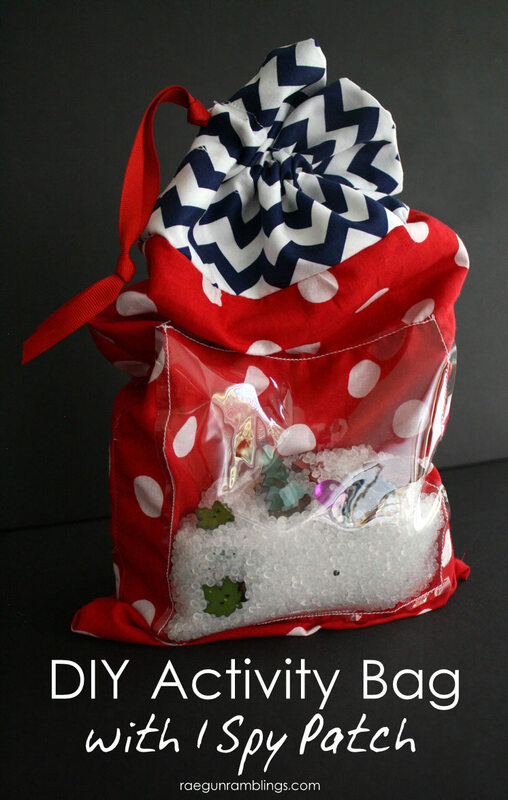 This is a great project because you can have your little ones will have a blast picking out all the fun trinkets to go in the I Spy Patch. Just send them around the house on a treasure hunt for little gems. You can even let them pick out buttons from your stash. 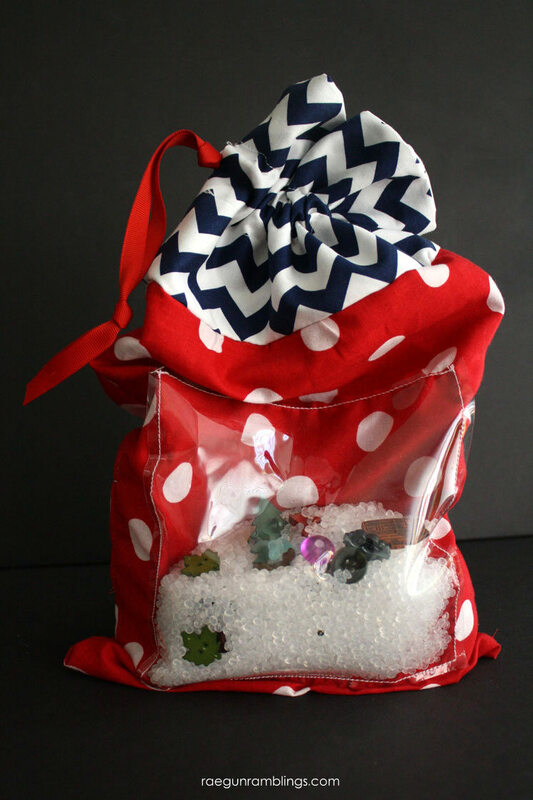 They will have a so much fun finding the perfect items to put in their bag. This was Skip to My Lou on Skip to My Lou as a part of her awesome Summer Craft Camp series!